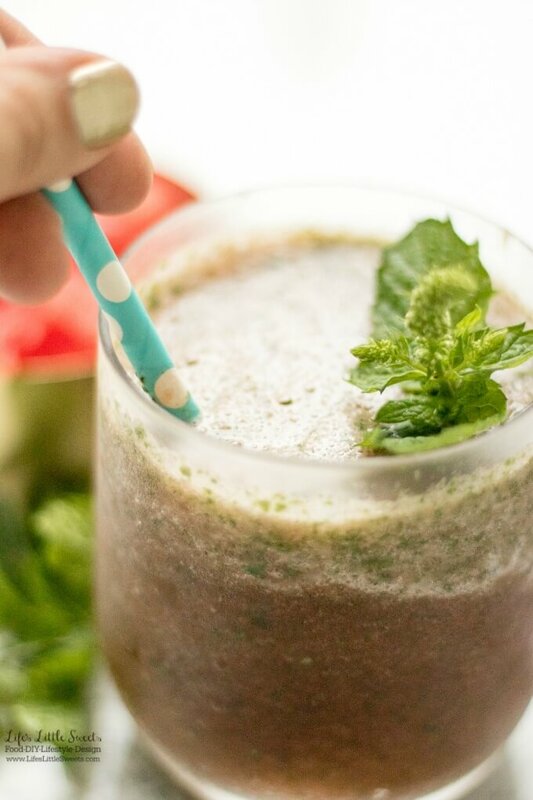 I have been growing several varieties of mint in my garden this Summer and it’s been really fun coming up with recipes to use it in like this Frozen Watermelon Mint Slushy. This recipe requires Simple Syrup which I posted recently and it is so easy to make and you can keep it in your refrigerator just for when you want to make a drink such as this. 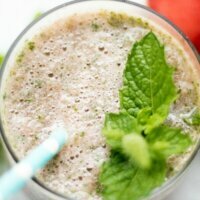 You can find all the mint recipes on LLS here and all the watermelon recipes here. 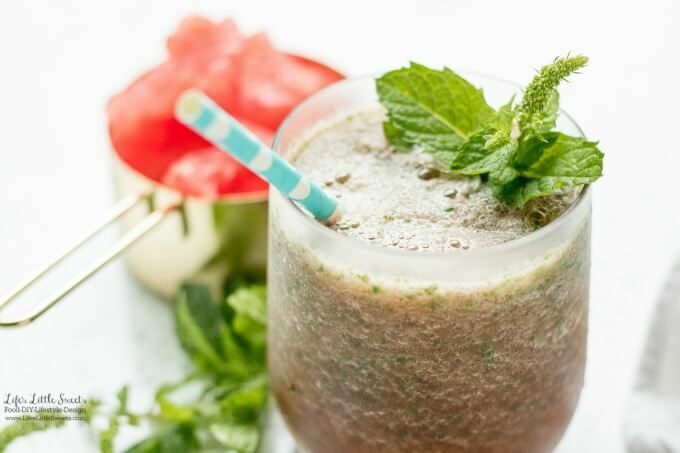 I know you will love this Frozen Watermelon Mint Slushy! 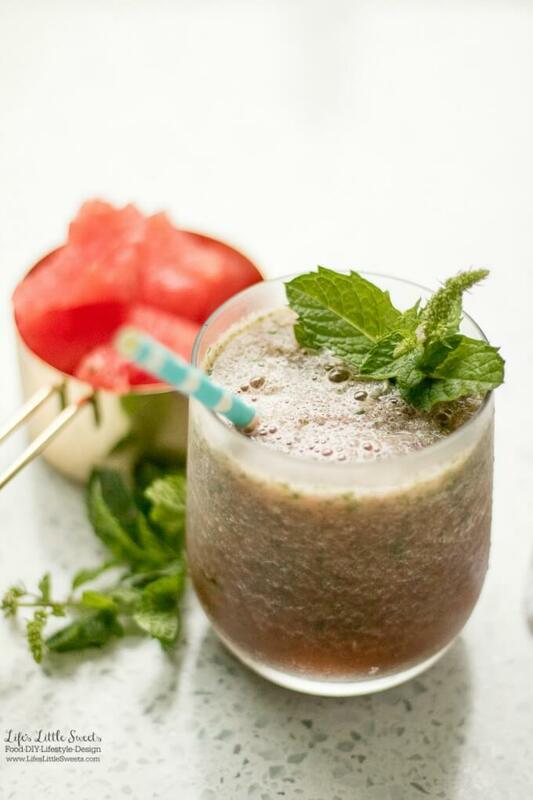 In a high powered blender, combine ice cubes, watermelon, mint leaves and simple syrup. 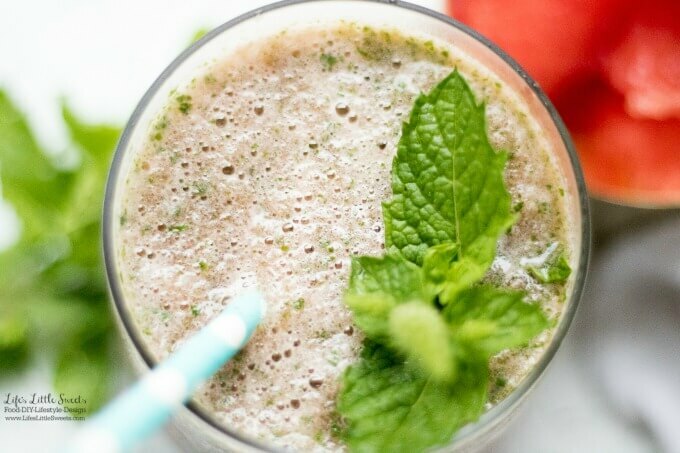 Start with the crush ice setting first and then blend until all the ingredients are uniformly combined. You may need to stop and push down the ice mixture with a wooden spoon.